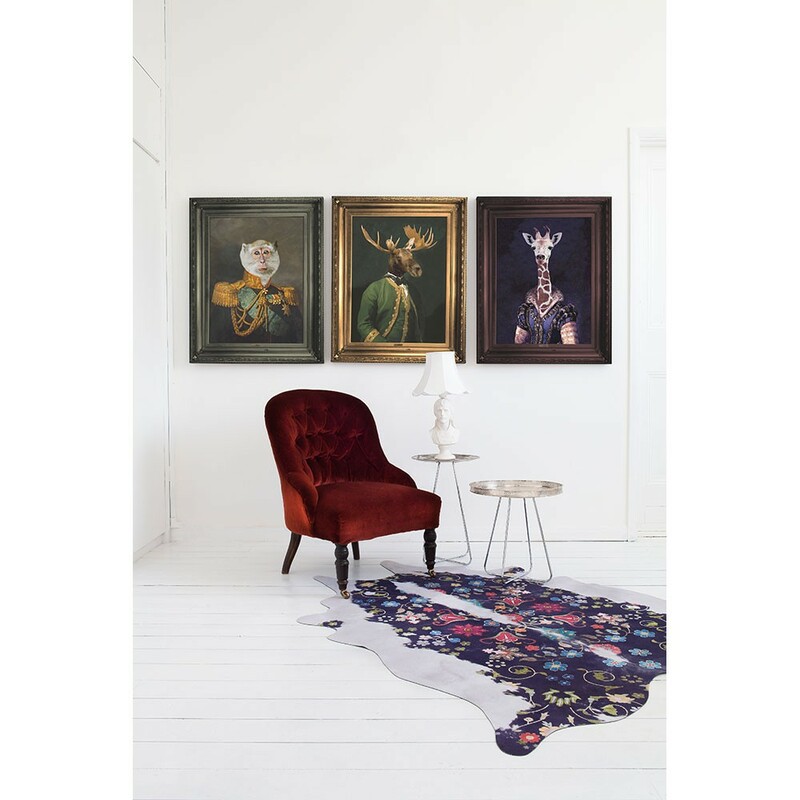 Both the frame and the image are printed on the canvas. 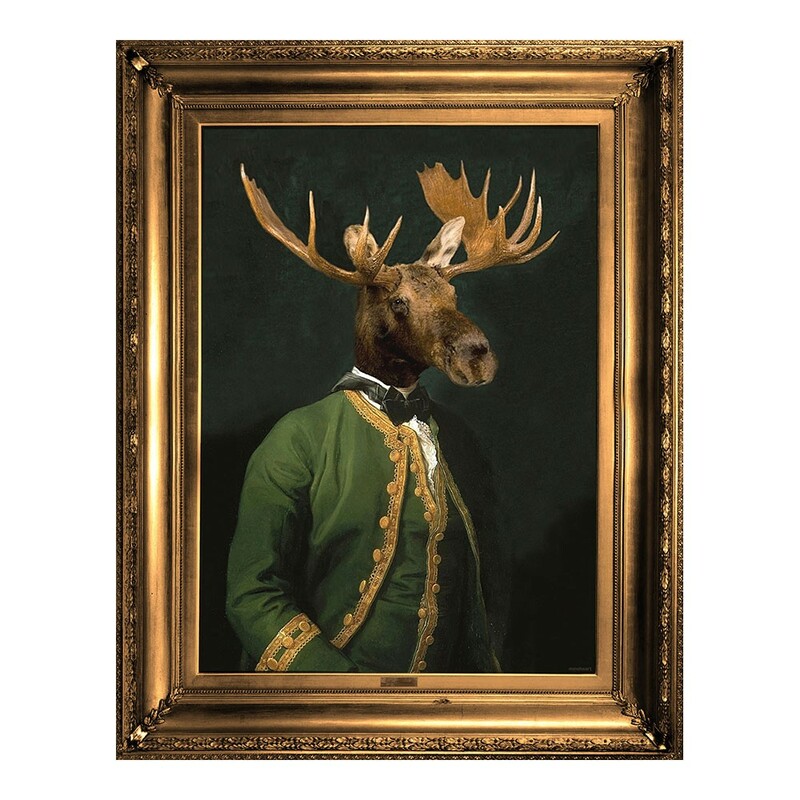 This mighty Moose looks quite the gentleman and in his green brocade edged coat. The surreal Lord Montague portrait by Angela Rossi would look stunning in a grand hallway lined with portraits where he will demand a second look and a prompt a smile from every guest.